Calling those who want to make a difference in a child’s life! While our Holiday boxes are almost completed, volunteers will be busy as elves packing Power Packs for children and Senior Boxes for the elderly in our community. 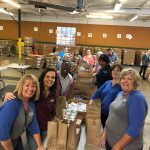 Power Packs are bags of food that are given to some area children who usually receive a free or reduced breakfast and lunch at school during the week. The Power Pack is intended to provide supplemental food to get them through the weekend. The Senior Box is a box of food to assist many of the elderly on a monthly basis supplement their regular monthly needs. Both of these programs happen not only during the holidays. Days leading up to the holidays are always a popular time to volunteer but we are also registering volunteers to help us kick off 2019 when we return to our regular everyday events. Consider giving the gift that helps others BEFORE and AFTER the holidays and register yourself or group today! Coming in 2019: First Saturdays are Family Saturdays! Looking for a fun family experience? Have a couple of hours to give service? 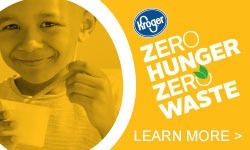 Bring your entire family and help us feed our neighbors. 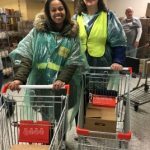 The warehouse usually has an age restriction of 13 years, but on the first Saturdays of the month, children 8 and older are invited to come with their families to volunteer! What a great way to serve our community and grow as a family at the same time. 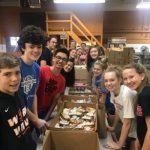 Activities include packing Power Packs for children and Senior Boxes for the elderly as well as food sorting from all of the holiday donations given this season. The Liberty Street Market (formerly known as the Liberty Street Market) has a new and improved look and name! 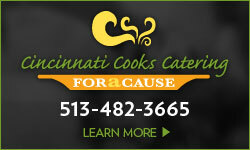 Consider volunteering in our updated space and help us serve up to 300 people daily. 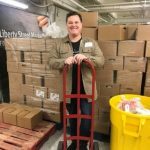 Liberty Street Market Shifts: Individuals or groups of 10 or less can schedule a time to volunteer in the Liberty Street Market, Monday, Tuesday, Thursdays and Friday from 8am-4pm. 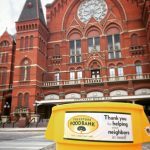 Projects include food sorting, restocking shelves with groceries, assisting customers with their groceries outside of the building and loading groceries in their vehicle in front of the building. Volunteers must be at least 16-years-old (with parental consent) to volunteer at this site. Over 1.000 volunteers are needed to assist with our December holiday food distribution. Registration is open now for individuals. 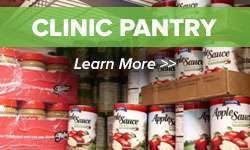 If you would like to register a group, contact us at volunteer@freestorefoodbank.org. Reserve your spots now as we are filling up quickly. Please note the change in dates and times. Groups and individuals are welcome. Volunteers must be at least 10 years old to volunteer (with parents). Want to help bring healthy nutritious produce into the community? 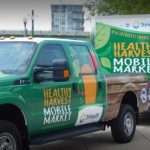 Volunteer on a regular basis with the Healthy Harvest Mobile Market! We are also in need volunteers once a month for the HHMM Clean Up Crew as well. Thank you to the following groups for your support in November 2018!